No matter what’s going on in your life, remember that God loves you. Because love on earth is so hard to find and maintain, we can lose sight of God’s ever- present love for us. There was a time in my life when my world fell apart. I felt helpless because I couldn’t figure out how to fix things – the many things in my life that were broken. And believe me, I TRIED!!! But the challenges that I faced were beyond my control. My counselor kept telling me that I needed to rest in God’s love. I thought this meant that I needed to stop working so much. I just couldn’t accept those words of wisdom. I had too much that I needed to get done. For months, life’s challenges got harder and harder, and my situation got worse and worse. 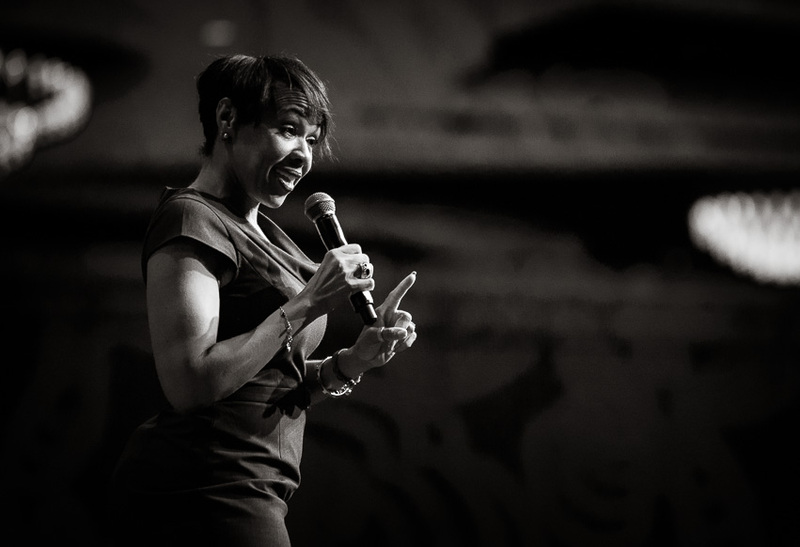 My counselor kept advising me to rest in God’s love. As she shared these words with me, I began to realize that I did receive God’s love for me the same way I receive everyone’s love. I consider myself to be a loving and giving person, and most of the time I give way more than I receive. Because this is my truth here on earth, even though I know God loves me, my thoughts around his love for me were based on the relationships I have here on earth. As the only child, my dad raised me to understand that I am truly in this world by myself. It’s on me to make happen anything I want to accomplish. So, to hear my counselor say I need to rest in God, I felt like I needed to go work and THEN GOD would love me. It was when I finally opened up to what she was saying that, for the first time, I really understood her. When she said I needed to rest in God’s love, she meant that I needed to receive his love for me in my brokenness. That it’s okay that I can’t fix everything and that His love has power that will engulf me with everything I need. That His love can keep me in perfect peace through the process. That His love will help, protect, direct, cover, guide, and provide me everything I need. That it’s okay when I get to a moment in my life that the work of my hands it not enough because God’s love will send me everything I need and want. It took me months to accept this truth. And during this time, I learned to give myself grace and be kind to myself. I stopped beating myself up and recognized that through God’s love I can do all things. Do you know that God loves you too? Click here to read more on the power of God’s love. 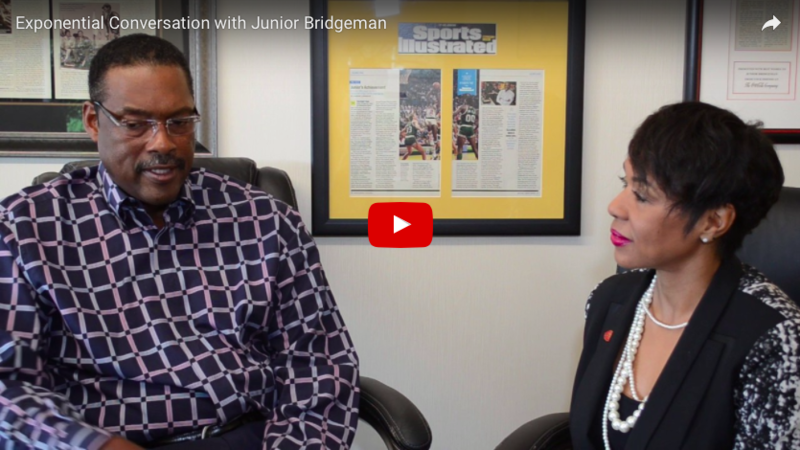 And watch my interview with retired NBA Player and CEO of Manna, Inc., Junior Bridgeman as he shares how God’s love and his faith empowered him to make courageous decisions throughout his illustrious career in basketball and business. To read more of our conversation, preorder my book, Exponential Living® -Stop Spending 100% of Your Time on 10% of Who You Are, (Penguin Random House), which helps high achievers to integrate their personal desires into their life without detriment to their professional achievement. The Foreword is written by Usher and features interviews with Actor/Rapper Chris “Ludacris” Bridges, TV/Film Producer Will Packer, syndicated radio personality Bert Weiss, Actors Boris Kodjoe and Nicole Ari Parker, Atlanta City Council President Ceasar Mitchell, retired NFL Player Peerless Price, and retired NBA Player/Philanthropist Darrell Griffith – to name a few. On sale February 7, 2017 at Barnes and Noble, Amazon, iBooks, GooglePlay,Target.com, and all other retailers. It is my purpose + my pleasure to serve you!! !